Eating at Disney World can be an experience in itself! From pretzels and popcorn to steak and lobster, there is a yummy option for every appetite. And it can be a lot of fun choosing what to try next. But, with a seemingly endless number of options, how do you know what to choose? And what if you don’t want to spend the time or money on a bunch of sit-down meals? Don’t worry! Here, I will share with you my list of Disney World’s best quick-service restaurants, so you can stuff yourself with delicious food without wasting a lot of money or time. Additionally, all of the restaurants on this list accept the Disney Dining Plan. Flame Tree BBQ is not only the best tasting quick-service place in all of Walt Disney World, but it is the best value too! The menu features BBQ favorites, such as ribs, chicken, and a pulled pork sandwich, along with traditional sides of coleslaw and beans. They also offer pulled pork mac and cheese! The food is delicious and the portions are huge. This superstar eatery is located in Animal Kingdom’s Discovery Island on the path to Dinoland USA. 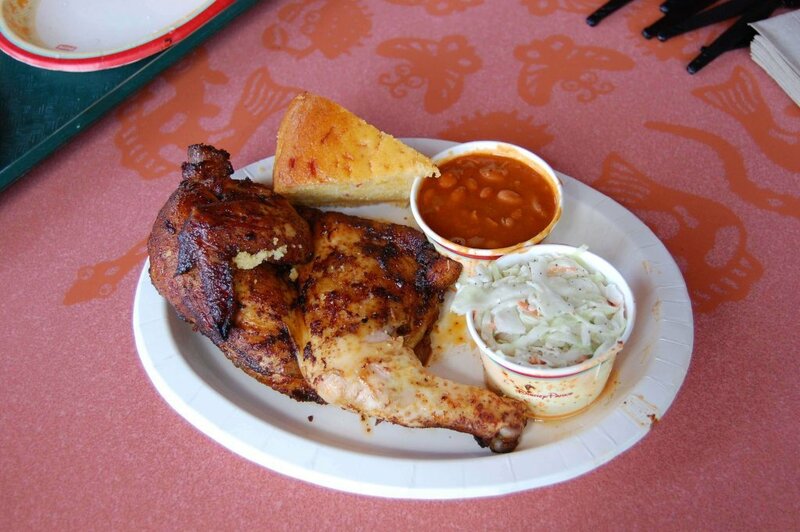 For more details, read my review of Flame Tree BBQ. 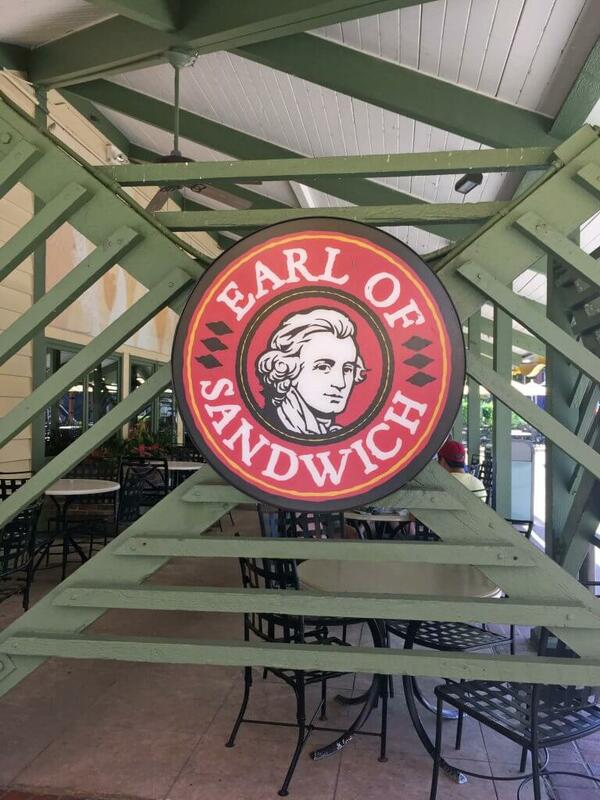 Earl of Sandwich is not just any old sandwich shop. It has mastered the art of sandwich making. This Disney Springs favorite has nestled all the best flavor combinations together between two pieces of bread to give you a party in your mouth. Don’t let the long lines scare you away. They are proof of the awesome level of food being made at Earl of Sandwich. Plus, they move quickly. My family has become such fans of Earl of Sandwich that we now make a special visit to Disney Springs at least once per trip just to eat here. To learn more details, see my review of Earl of Sandwich. Earl of Sandwich makes the best sandwiches. Looking for a place to escape the noise and crowds of the Magic Kingdom while eating something other than burgers? Head over to Columbia Harbour House on the border of Liberty Square and Fantasyland. Take your food to their upstairs dining room for a quiet meal. The menu here includes lobster rolls, shrimp, salmon, and chili. Of course, you can always get chicken nuggets in the event you have some picky eaters in your group. You can find the Backlot Express near the Indiana Jones Stunt Spectacular in Hollywood Studios. Because the theme here is that of a movie prop warehouse, you can dine in a fun environment filled to the brim with random props. There are some fun food choices here too, such as a Southwest salad, California club chicken sandwich, and a Cuban sandwich. Sunshine Seasons is in the Land pavilion. 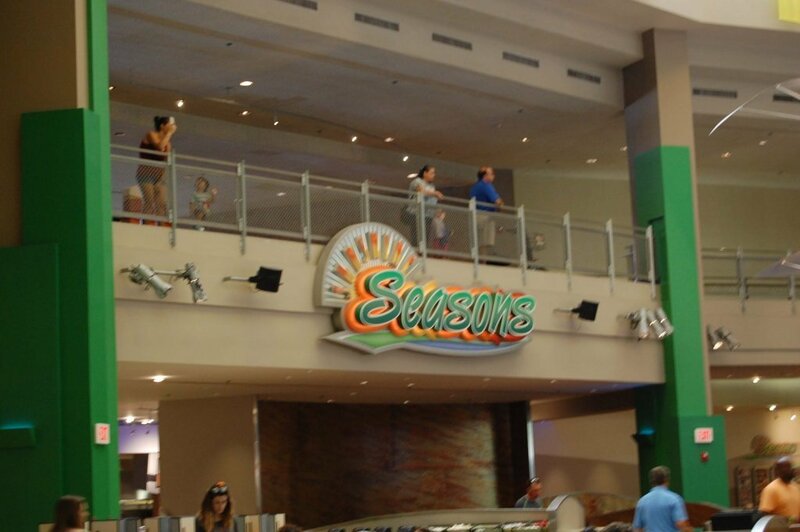 In the Future World section of Epcot, you will find one of the most eclectic quick-service restaurants in all of Disney World—Sunshine Seasons. This food court style place offers a large selection of food, so it is the perfect choice if everyone in your family wants something different. You will find Sunshine Seasons in the Land pavilion. 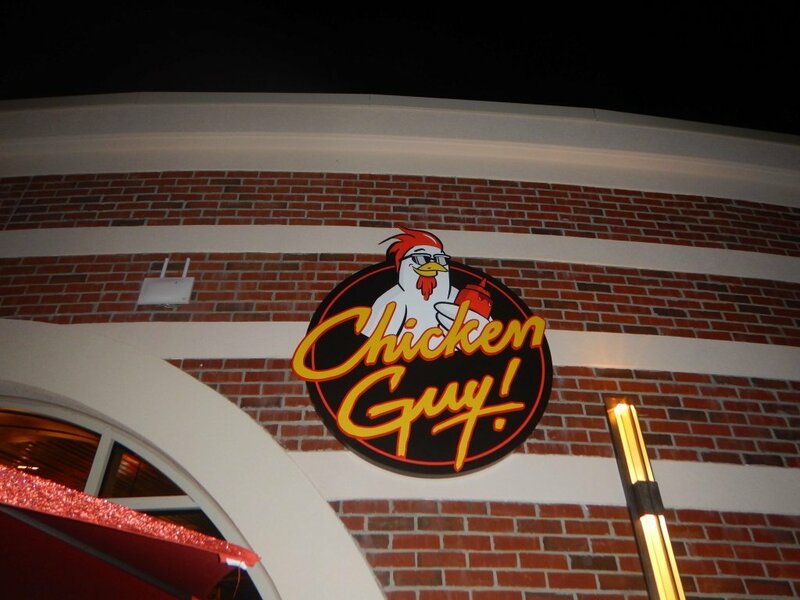 One of the newest restaurants in Disney Springs is Chicken Guy! It is the brain child of celebrity chef Guy Fieri and Robert Earl, the founder of Earl of Sandwich. The menu is simple: chicken, fries, and milkshakes. You will have your choice of 22 different sauces to complement your meal, however. Even though there is nothing on the menu but chicken and fries, you will not be disappointed! They are amazing! My son, who is super picky about his fries, declared these the best he had ever eaten. You can read my review of Chicken Guy for more details. 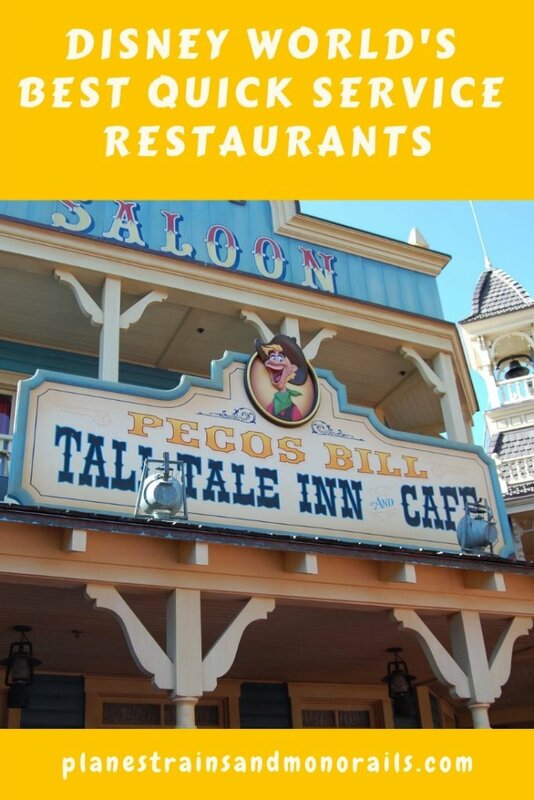 If you enjoy customizing your meal with lots of toppings, then Pecos Bill’s is the place for you. This Frontierland eatery has a toppings bar that will allow you to make your nachos, burger, or tacos exactly as you like them. I would recommend eating here either before or after prime meal times, though, because it gets busy. During these busy times, it becomes difficult to find seating. 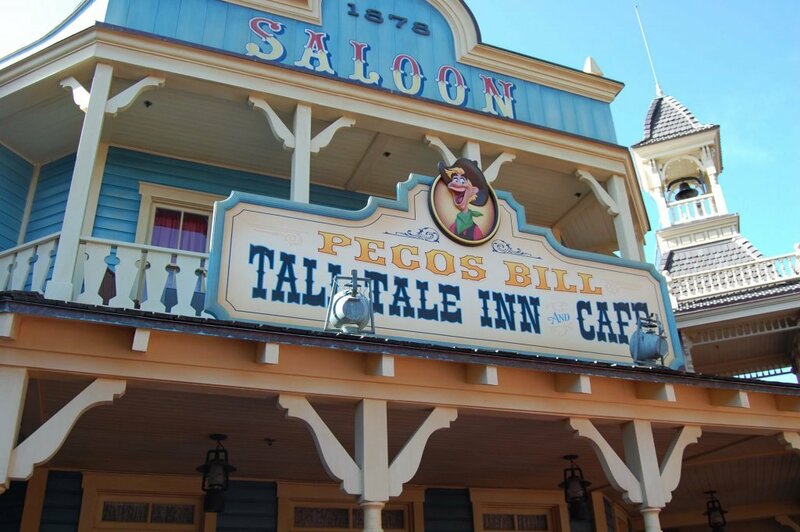 If you love toppings, you have to try Pecos Bill’s! There are many places to eat in Disney World. If you haven’t been there before, it can be overwhelming to know where to eat. If you don’t want to spend a lot of time on your meal, or can’t afford to do table-service restaurants, then quick-service places are your best bet. The above list includes Disney World’s best quick-service restaurants. To see the full menu for all of these eateries, see allears.net. 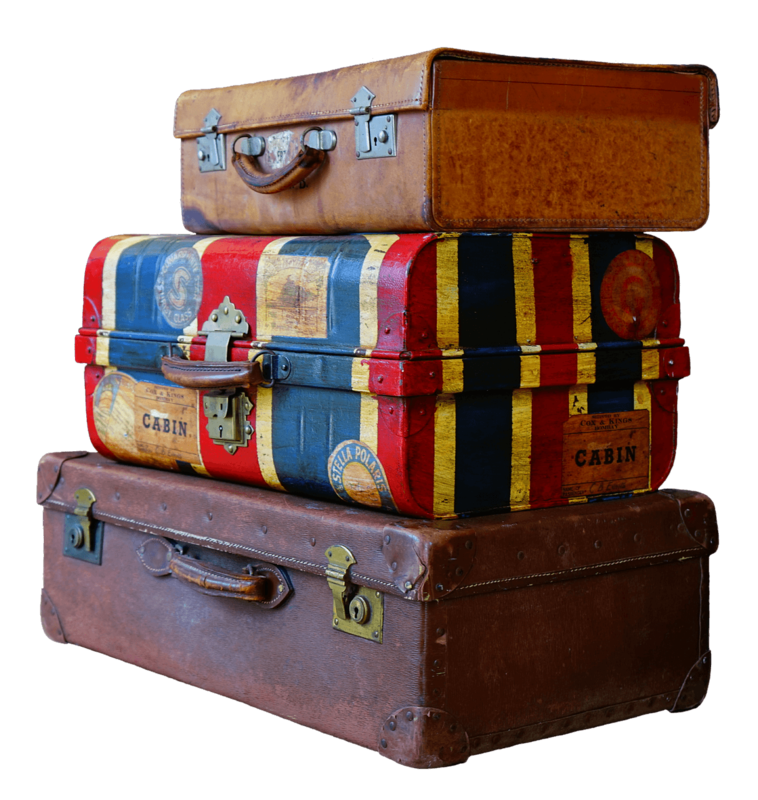 For help planning your trip, see my step-by-step guide, quick tips, and best resources. If you are looking for ways to make your Disney World trip affordable, see my tips for saving on food at Disney World. What is your favorite quick-service restaurant in Disney World? Leave me a note in the comments with your answer. Happy travels!